If Your Are Fed Up Of Diets And Want To Become Slim Then Please Read On..
Each year millions of pounds are spent on diets by people who are trying to get themselves slim but unfortunately a large majority of these people fail on the diet and their hard earned money has gone down the drain. A large portion of these people spend money on diets that claim to help you to lose weight quickly or diets that claim they have an easy way to lose weight but the truth is, diets do not work for most people and the problem lies in how we think and how our subconscious mind thinks. mind your mind is going to send negative signals to your body and this is why you may have heard the expression, think yourself thin or think yourself slim. Every year we spend millions on diets and gym membership, but obesity specialists increasingly believe the problem doesn’t lie in what we eat or how much exercise we take, but how we think. ‘There is a non-stop communication between your mind and body, but the mind is the most important because it drives your behaviour,’ says nutrition and exercise specialist Janet Thomson, author of Think More, Eat Less. She is convinced we become overweight as a result of confused messages from the brain sabotaging our attempts to slim. Did you know according to a recent report, over 70 per cent of the adult female population and 30 per cent of the male adult population have tried a traditional diet? With obesity being such a huge problem in the UK with an estimated 15 million people being classed as obese and overweight, a recent health study predicted that this obesity problem is going to continue to rise unless something is done about it, more people now than ten years ago are trying to find ways to lose weight which includes the Atkins diets and liquid diets but unfortunately diets are not the answer. Diets for quick weight loss do not work and that is not just ourselves who say this. If you speak to a large number of health and weight loss experts and ask them do diets work the most popular answer you will get back is diets for quick weight loss do not work and this is why most detritions have stopped telling people to go on a diet. A study was requested to look into diets where a leading professor by the name of Joseph Projetto who is a professor of medicine at the University of Melbourne looked into diets to find out if they really do work. He decided to take 50 overweight men and 50 overweight women to determine if diets for quick weight loss work. The leading professor put the men and women who wanted to lose weight on a 550 calorie diet for eight weeks to find out if the quick weight loss diet actually did work. This study of the men and women went on for over a year to see how the men and women managed to cope with weight loss. Although some of the men and women who were overweight lost weight on the quick weight loss diet, most of them put the weight back on over the next 12 months with a large majority of them finding themselves suffering because they were feeling hungrier and more food obsessed than before they went on the diet. This was shown that diets for quick weight loss was not working but the other result that shown diets for quick weight loss do not work was when the professor found out that the majority of the people who went on the diet put more weight on over the 12 months than they actually started off with. Professor Joseph Projetto conclusion after the weight loss study was that diets for quick weight loss do not work and diets can actually put weight on you and cause you to struggle. This study was not great news for the diet industry that rely on overweight men and women to buy their products and to buy their diets in the hope to lose weight but as Professor Joseph Projetto study has shown, diets for quick weight loss do not work. So if diets do not work how can someone who is overweight lose weight? The answer is ‘think yourself thin’. What this means is, using gastric band hypnosis to think yourself thin which we will explain more about later but first we want to explain why diets do not work. If you have ever been on a diet then you will know that diets are hard to do. A diet is not an easy task to undertake so if you are looking for easy ways to lose weight then a diet is not for you. One of the most popular searches for an overweight person to make on the internet is ‘easy ways to lose weight’ that is because people who are classed as obese or who are overweight are desperate to lose weight and become slim but as the study into weight loss shows, easy ways to lose weight do not work. Imagine if you have been playing golf for a number of years but you are not really good at it and then someone comes along and says you are doing that wrong and you should do it this way instead, it is not easy to break your bad habit and improve your game and this is the same with diets. A diet requires a significant change in your life, it requires a huge change in your eating habits but as you know, habits are hard to deal with and overcome. Just imagine if you have been biting your nails for the past five years and then one day you are told you are not allowed to bite your nails and you have to break your habit that you have had for all those years, it will not be easy. With cling onto our habits and they are hard to overcome and this is the same when it comes to food and this is why Think Yourself Thin will help us. When we change our habits it can without the correct support cause us stress, imagine that for years and years you have been eating take away food and eating crisps and chocolates and then one day you decide I want to lose weight and go on a diet. You then have to cut out your take away food and your snacks to lose weight but your mind still wants them causing you stress as well as your loved ones around you feeling the brunt of your hunger. Diets also do not work because of will power. Will power is a powerful emotional and the lack of will power is one of the biggest reasons why people fail on a diet. It is not easy when you are on a diet and your mind is telling you that the lovely cream cake in the shop window has your name on it but you are on a diet so you cannot eat it. There is a battle going on in your head with one part of it saying go on and eat it and the other part reminding you that you are on a diet and it is your will power which will determine in you eat the cream cake or leave it. By using hypnosis or as we like to call it, Think yourself thin by using hypnosis to change the way your mind works, we can deal with your will power and turn your low will power into high and positive will power. One of the reasons why diets can cause so much stress and why thousands of people fail on a traditional diet is down to hunger. When men and women go on a diet to lose weight there mind and body is not prepared and this is why you become hungry. Your body is craving for your normal food, it is used to getting the same amount of food each day and with you cutting out all the sugar, fat etc. your body craves for the food that you are trying to avoid to reduce your weight. With you trying to lose weight by avoiding the food that you enjoy eating you are in a battle. You have been told by your diet sheet or by your diet club that you need to avoid certain foods and to eat less. You have also been told that you need to eat diet food and also foods that you may not like and you have also been told to count calories as well as eat smaller portions, but the trouble is, you have been told to do this but no one has told your subconscious mind and this is where the big problem is. Unless your subconscious mind is told and retrained when it comes to eating smaller potions and eating different types of food then you will have lots of cravings, these cravings will make you feel stressed and will eventually make you fail on your diet because you will give into your cravings and eat the food that is causing you to gain weight. However if you use what we call Think Your Self Thin or Slim then you will lose weight. When we talk about Think Your Self Thin we are talking about using hypnotherapy to change all your emotions and to stop you from having cravings because we will retrain your subconscious mind and give it all the new information that it needs. Another reason why diets do not work for most people is people get bored eating the same diet food each and every single day. A lot of people eat diet food that they do not enjoy and think to themselves that they have to continue to eat food they do not like to lose weight, this is not true and also with this way of thinking it is not long before a person on a diet calls it a day and turns back to snacking and putting on weight. Basically if you do not have the right tools to lose weight then you will fail and you will not lose weight and that is why if you use hypnotherapy to think yourself slim, you will lose weight with our gastric band hypnosis weight loss technique. Now you understand why diets do not work let’s talk about a positive solution to weight loss, let’s talk about thinking yourself thin with hypnosis. Would you like to lose weight by eating whatever you want, whenever you want? At this moment in time you may be thinking we are talking a lot of rubbish but you can really eat what you want and when you want all by Thinking Yourself Thin. Instead of having to eat diet food or starving yourself you really can eat what you want and when you want and this is done by using our hypnosis technique. We will work with your subconscious mind and will get rid of all the bad habits you have when it comes to food. While working with your subconscious mind we will find out why you are gaining weight and turn all your negative emotions into positive emotions to help you to increase your will power and get rid of any cravings you may have. If you have every heard about weight loss surgery then you may know about a gastric band and how it works, if not then I will explain. 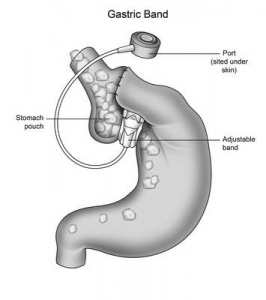 The weight loss surgery works by placing a gastric band inside of your stomach and this will then make you full more quickly and help you to eat smaller portions, hence help you to lose weight. But the problem with surgery for weight loss is the dangers that can be involved and not to mention the average price tag of £9000. If you do not fancy spending £9000 to lose weight and are worried about having surgery then do not worry because our Think Yourself Thin technique will give you all the positive results of surgery but without the price tag and without the surgery. If you are wondering how to think yourself slim then please visit our virtual gastric band hypnosis page for more information, but in general terms, we make you believe that you have a real gastric band inside of you. This will then make you become full more quickly and eat smaller portions and you will lose weight. 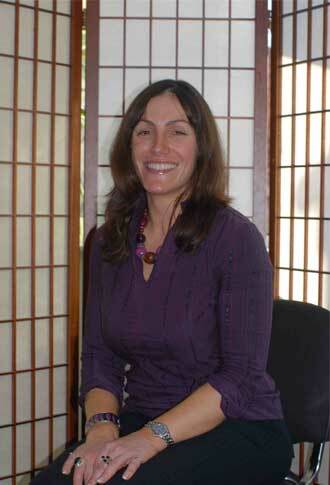 Claire Hegarty can help you to lose weight with her Think Yourself Thin technique. If you are serious about wanting to lose weight and would like to see real results then call our head office now on 0151 678 3358 or call Claire Hegarty direct on 07714 853524. 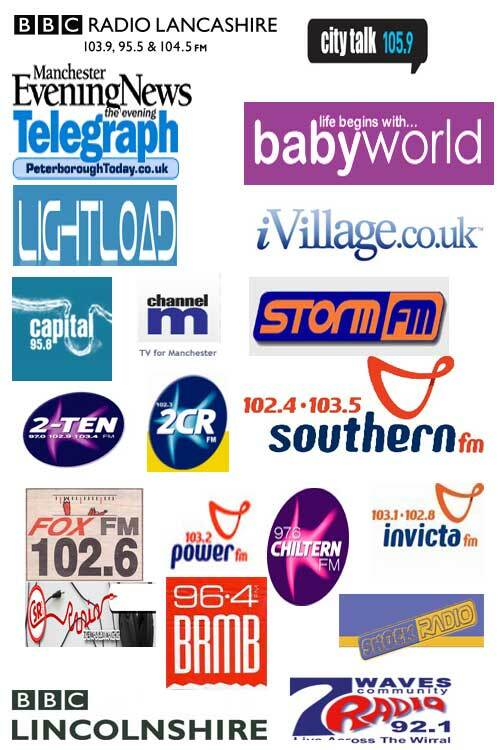 We work all over the UK helping men and women to lose weight and we can help you too.